Keeping in sync with times, we are engaged in manufacturing and supplying Five Wheeler Advertising Tricycle since year 1999. 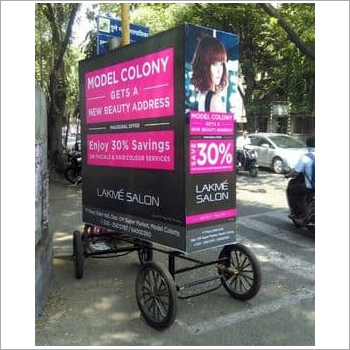 It is utilized for advertising products on streets and roads. This tricycle is made of high-grade raw materials that are in compliance with national and international standards. It is designed to give proper ease and convenience to users. 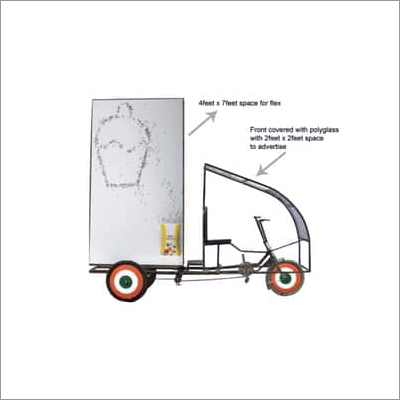 Apart from this, Five Wheeler Advertising Tricycle is resistant to weather and is highly acclaimed for its great strength as well as durability. Also, it is available with us in different technical specifications as per requirements of customers.